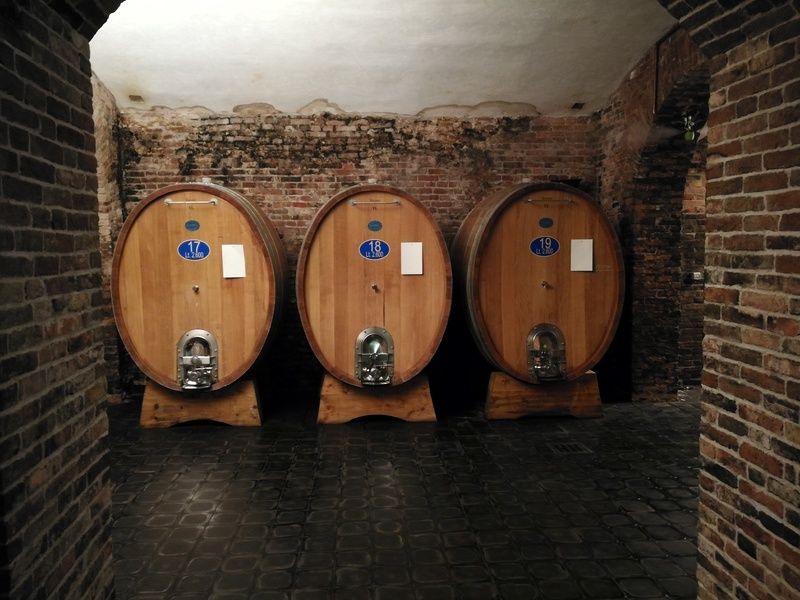 The second winery I visited during my summer holiday in Piemonte was as legendary as the first, but just in a different period in history. 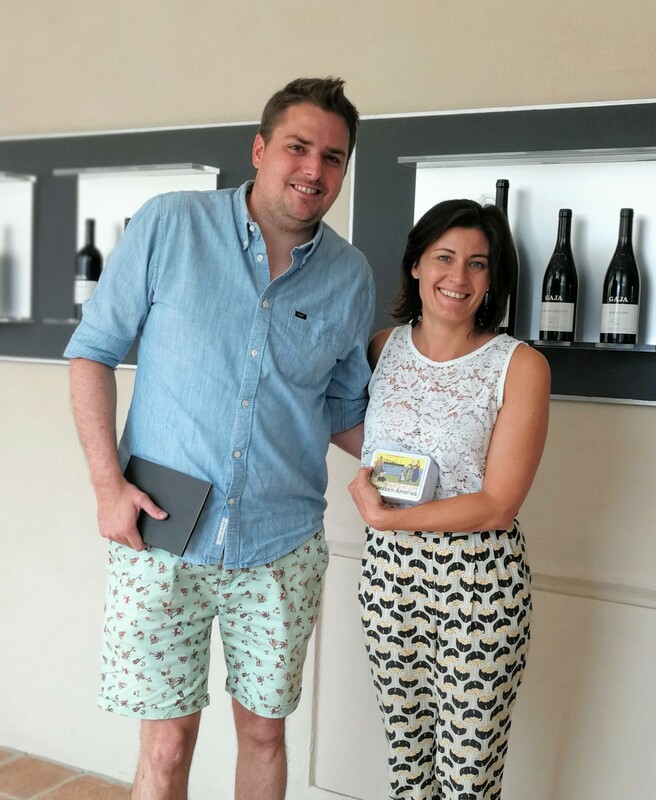 I was fortunate enough to visit the Gaja winery in Barbaresco and even had Gaia Gaja herself as host for the morning. I was also very happy to be able to visit this winery as normally they don’t open their doors to easily for visits… but if they do open them it is the family itself who shows you around the winery. 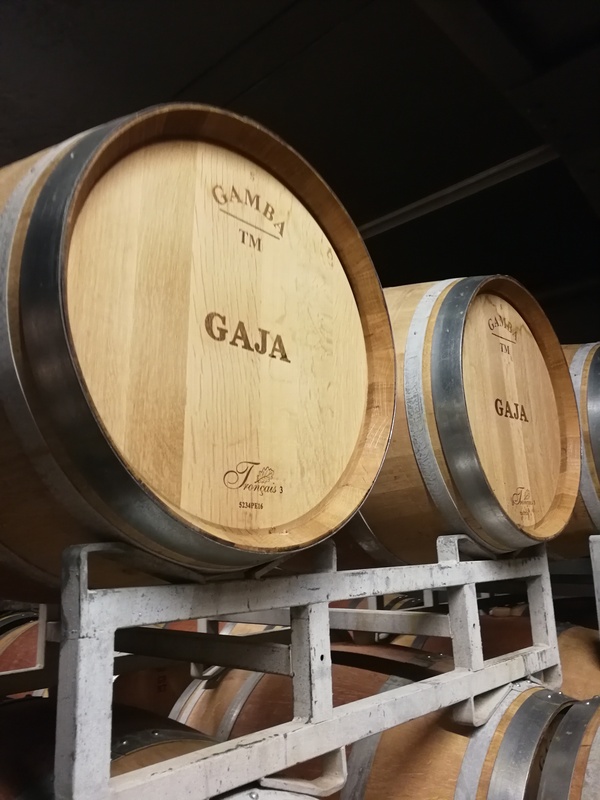 For my readers who wouldn’t know Gaja, Gaja is a vineyard that bottle it first wines for sales in the late 1930’s, the winery itself got found in 1859. But at that time their main focus was on the tavern they had and they wines they produced were served at their own tavern. Their tavern used to be very popular with people who had to cross the Tànaro river . While they were waiting for the boat they all stopped at the Gaja family’s tavern. 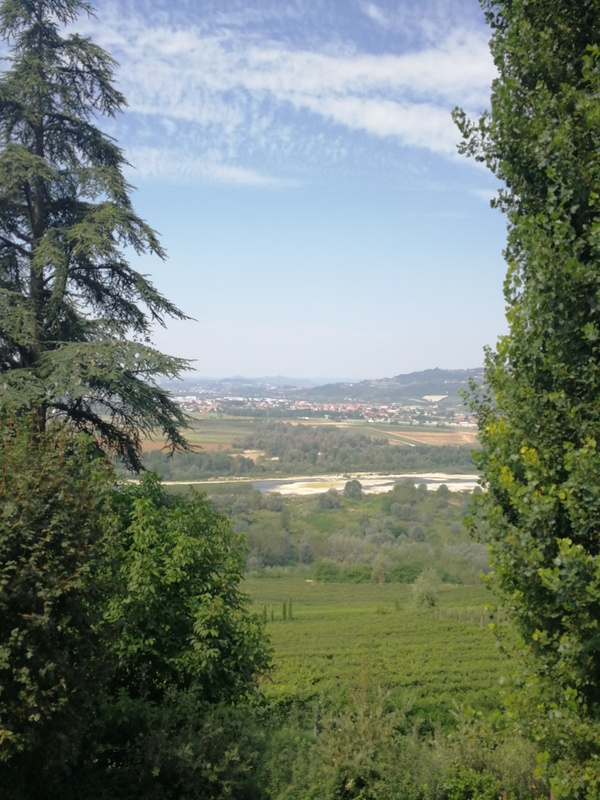 At this time, with all the money the Gaja family made, they bought pieces of land around their tavern and slowly their focus started to switch to wine making. 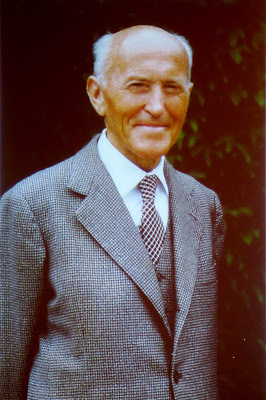 Someone who understood at quite an early stage they should invest in quality and not quantity (as most wineries at that time would focus on quantity) was Giovanni Gaja ‘s mother. She was also the person to suggest to set high prices to manifest the prestige of the product. It wasn’t until the arrival of Angelo Gaja (son of Giovanni Gaja) that the winery would write history and lots of vineyards in Italy that would follow him. Angelo Gaja, who besides this Enological degrees (that he obtained at the Institute in Alba and at the University of Montpellier in France), also holds a degree in economics . At his arrival at the family vineyard it wouldn’t take long before the first disputes between Angelo and his father would rise up… basically because Giovanni wanted to stick to traditions and wanted to keep making wines how they used to, Angelo saw it different and wanted to experiment (with respect for tradition) and try new things. Lucky for us Angelo didn’t care too much about his father’s opinion and continued experimenting 🙂 . A few of the revolutions under Angelo Gaja were the ‘green harvest’ (removal of immature grape bunches, while they are still green induces the vine to put all its energy into developing the remaining grapes), single vineyard production, introducing malolactic fermentation, use of French barriques, bringing in thermo-controllable fermentation equipment and French grape varieties (carbernet-sauvignon, chardonnay; sauvignon blanc), and eventually grand cru prices. Angelo was at that time a modernist in a traditional region. In the beginning he got lots of critiques for his ways of working, but soon those critiques would have to take back their words and many other wineries (even many famous wineries across Italy) would start following Angelo’s way of working, because of the exceptional results. The awards Angelo got with his winery from Wine Spectator and Decanter (to name a few) only made his status become greater!! 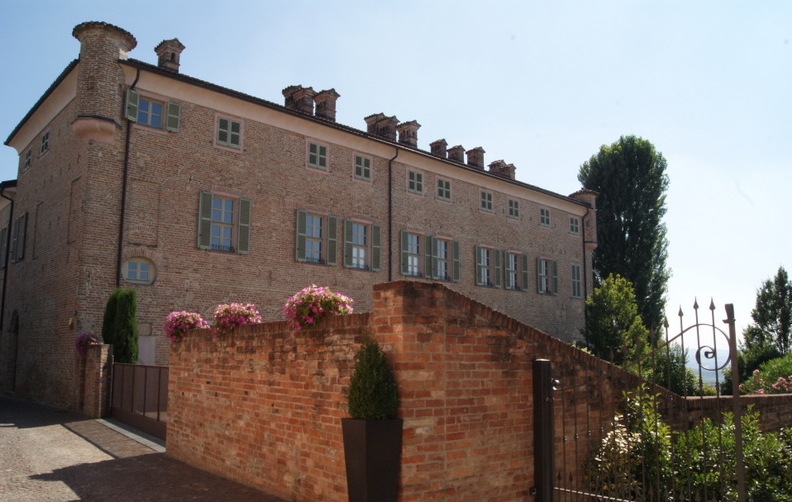 Their 1985 Barbaresco’s were and are still seen as one of the finest wines of Italy. 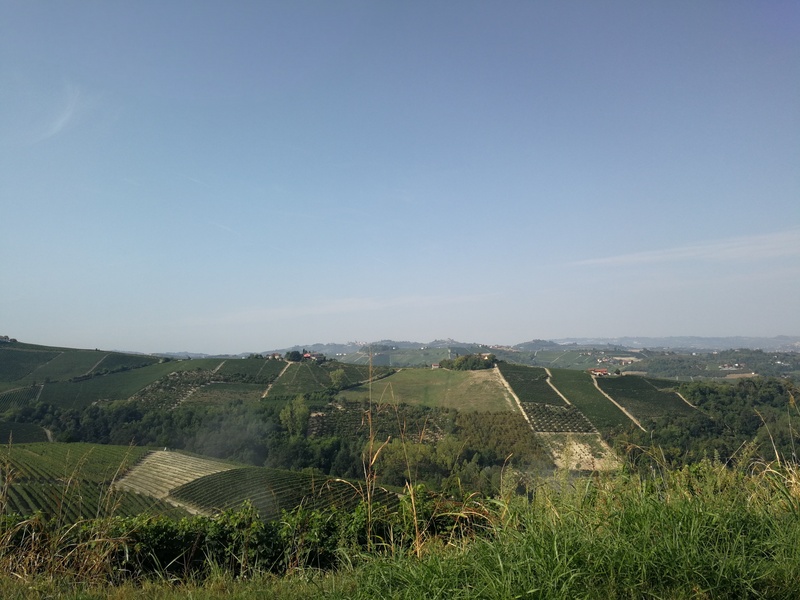 Next to the Piemonte vineyards they also have vineyards in Tuscany and since recently in Sicily. Although Angelo is still alive and kicking, today it are his 2 daughters (Gaia and Rossana) and son (Giovanni – he joined last year) that are leading the company. Technically he is retired (he never officalised it 🙂 ), but you’ll still find him almost every day at one of their wineries from early in the morning until late in the evening (I can imagine it is very difficult to leave your baby eventhough you know it is in good hands). So it is now up to them to continue writing history… after my morning with Gaia I’m sure they have a clear view on the future and know where they are headed 🙂 . 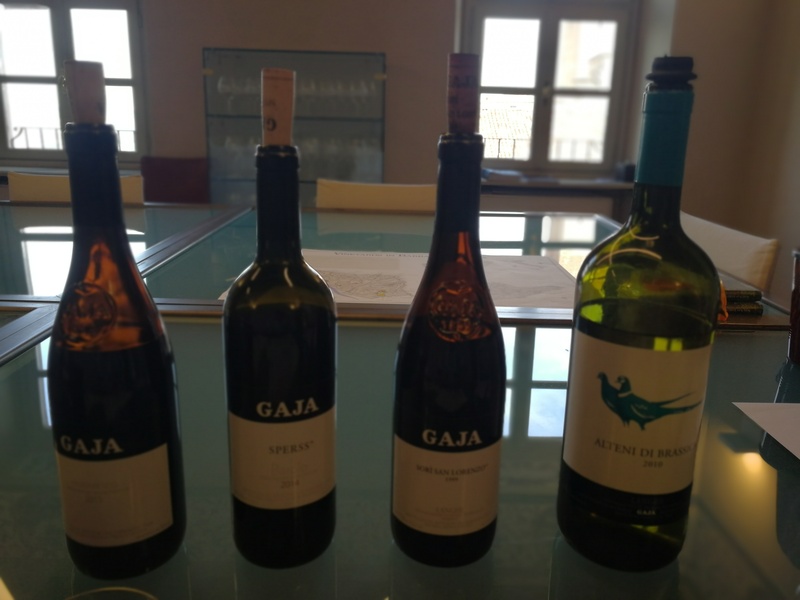 Before I continue I must also say that I find it remarkable that Gaja is probably one of the only wineries I know that doesn’t have a website and that even though they don’t advertise in any way their wine is always almost sold out 🙂 . incredible! I must also admit that Gaja has a very beautiful/stylish winery!! I could lie, but I know you won’t believe me anyway. 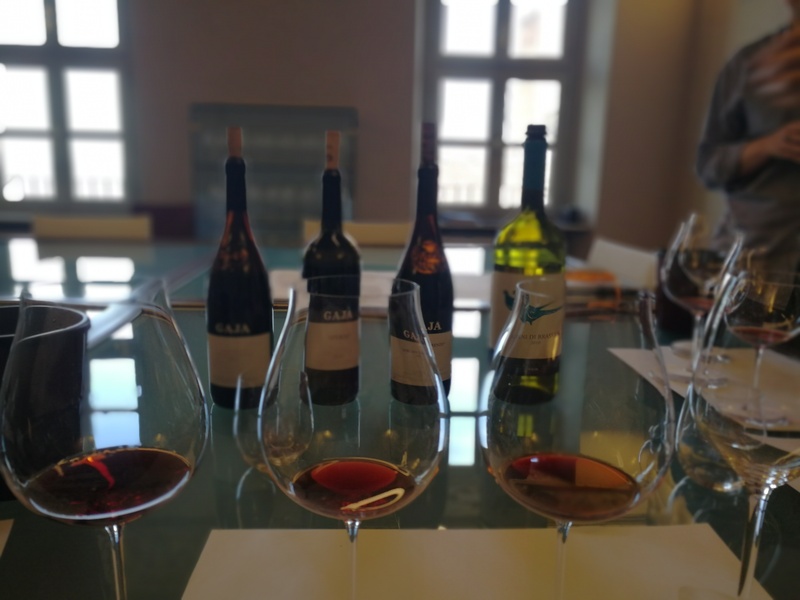 Eventhough it seemed a bit early to already start tasting wine, one never says no to a tasting of top level wines 🙂 especially in company of a very interesting person like Gaia Gaja. The lineup for my tasting: 2015 Barbaresco; 2014 Sperss; 1999 Sorì San Lorenzo and a 2010 Alteni di Brassica. I remember me at some point asking Gaia (not sure if it was with this wine) if their wines are intended to be drunk immediately or if they are best to wrest for a while (because they are known for their ageing potential). She told me that the wines are ready to drunk and do not necessarily need to age. 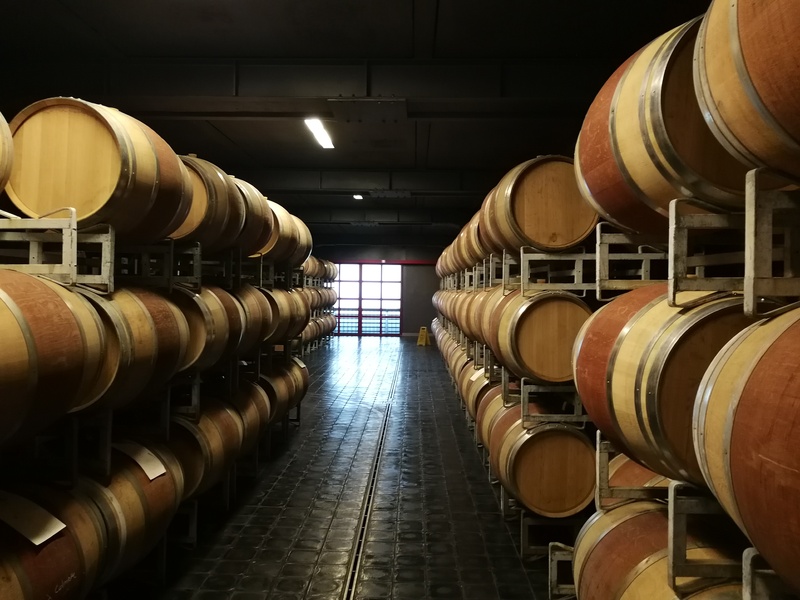 As the moment they decide to bottle their wines and sell them means the wines (according to them) are ready to be drunk..; and when you immediately drink it you taste the wine how the winemakers made the wine and want him to be for you. She did tell me that it does sound like and other marketing trick, but it isn’t. But if one wants to age their wines, no problem… they can age a long long time. Up to the Barolo aka Sperss (it was noon somewhere in the world). Gaia told me that 2014 was a very wet year and they had a late harvest. She said that at the end of august the grapes weren’t ripe yet. And yet this is one of Gaia’s favorite wines. The reason it is, is because it has great tannins, beautiful color and very rich wine.. all thanks to the Indian summer after the wet summer. It is a full bodied wine with amazing structure and softness. I mean with that you would think this wine would be much more ‘aggressive’, but it wasn’t. Again the beautiful fruity elements and minerals. My personal favorite of the wines I tasted was the Langhe Nebbiolo or better their famous Sorì San Lorenzo. At the nose I noticed a woody scent (like when you put out a fireplace) . Like most Gaja wines, the San Lorenzo is a dark ruby. Deep, powerful, and structured that Finishes with very fine, sweet tannins and outstanding persistence. A wine that only gets better when getting more air. Although it is already a quit older wine, it still has lots of youth in it. Last but not least the 2010 Sauvignon-Blanc. On the nose (and even the palate) you get an immediate exotic vibe… lots of exotic fruits. A very rich wine. For my personal taste maybe a bit too exotic, but I’m sure if paired well the wine will come out fabulous.